Some of the works Swedish photographer, based in Berlin, Erik Johansson creates are street illusions. He sees photography as a way of collecting material to realize the ideas of the mind. 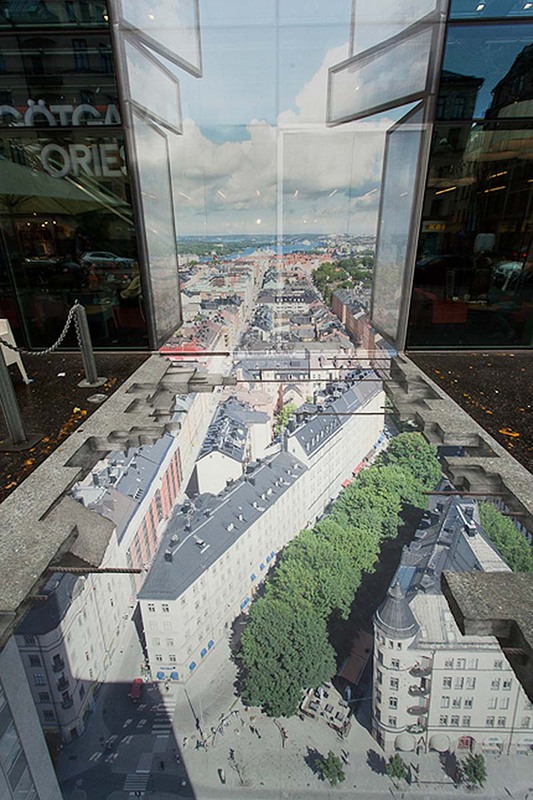 Last fall, Johansson was commissioned by the Stockholm shopping mall Skrapan to create a perspective illusion for their 5th anniversary. Being one of the tallest buildings in the city, they wanted to incorporate the view from the top of the building into the optical illusion. 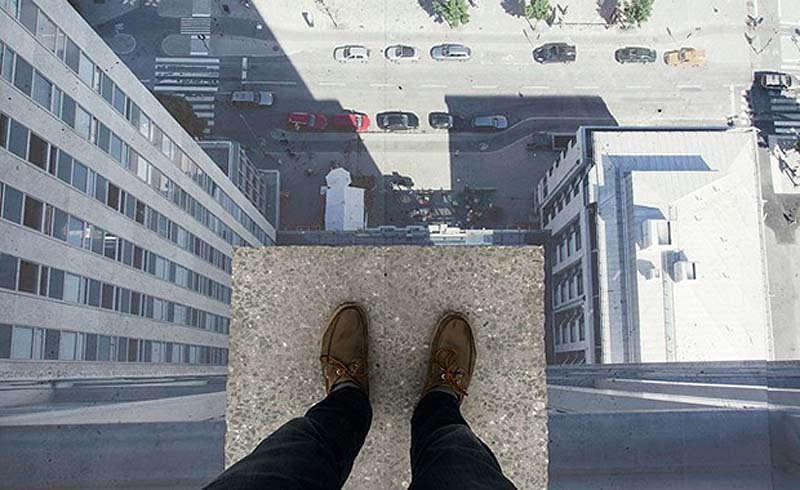 From the right angle, Johansson’s installation tricked the viewer into the 3D illusion of being on top of the building looking down from the safety of the sidewalk. This entry was posted in Art, Fun, Photography, Street Art, Stuff We Like. Bookmark the permalink.